The Late Ordovician mass extinction was an interval of high extinction with inferred low ecological selectivity, resulting in little change in community structure after the event. In contrast, the mass extinction may have fundamentally changed evolutionary dynamics in the surviving groups. We investigated the phylogenetic relationships among strophomenoid brachiopods, a diverse brachiopod superfamily that was a primary component of Ordovician ecosystems. Four Ordovician families/subfamilies sampled in the analysis (Rafinesquinidae, Strophomeninae, Glyptomenidae and Furcitellinae) were reconstructed as monophyletic groups, and the base of the strophomenoid clade that dominated the Silurian recovery was reconstructed as diversifying alongside these families during the Middle Ordovician. We time‐calibrated the phylogeny and used geographical occurrences to investigate biogeographical changes in the strophomenoids through time with the R package BiogeoBEARS. Our results indicate that extinction was higher in taxa whose ranges were constrained to tropical or subtropical regions. Furthermore, our results suggest important shifts in the diversification patterns of these brachiopods after the mass extinction. While most of the strophomenoid families survived the Late Ordovician event, ecologically abundant taxonomic groups during the Ordovician were either driven to extinction, reduced in diversity, or slowly died off during the Silurian. 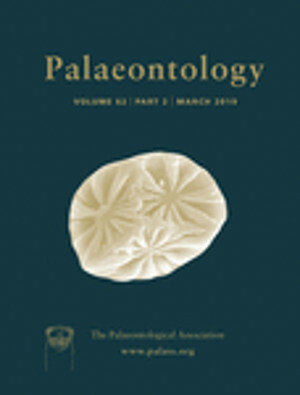 The new abundant strophomenoid taxa derived from one clade (consisting of Silurian–Devonian groups such as Douvillinidae, Strophodontidae and Amphistrophiidae) that diversified during the post‐extinction radiation. Our results suggest the selective diversification during the Silurian radiation, rather than selective extinction in the Late Ordovician, had a greater impact on the evolutionary history of strophomenoid brachiopods.